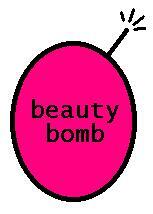 Be Inspired - Welcome to Beauty Bomb. The Beauty Bomb is a site dedicated to self-improvement, inside and out. We specialize in fashion, hair, make-up, health, and lifestyle. There's a goddess in each one of you; let the Beauty Bomb help bring that goddess out. Here at BB, we'll show you what's in, the latest trends, star styles and how to achieve their look, fashion fauxs, and hair musts. It's your all-around glamour spot on the web! Thank you for visiting Beauty Bomb! Won't you be a doll, and sign our guestbook? We love reading your comments and feedback. Who is *your* style icon?